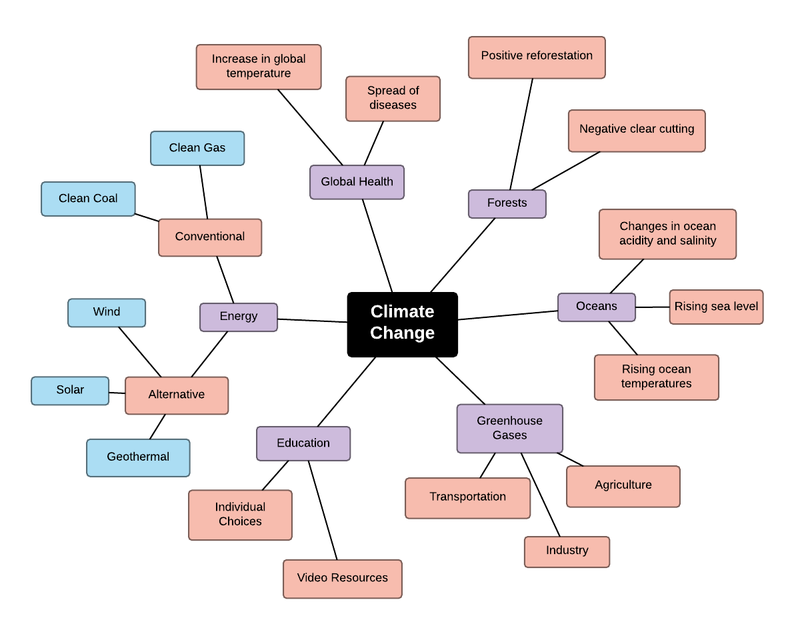 This climate change mind map example can help you understand, study, or present an overview of how climate change relates to other topics, such as global health and energy. To create your own mind map, simply sign up for a Lucidchart account. You'll then be able to edit this climate change mind map template.